When we hear the name Martin Luther King Jr., we most often think of his legendary “I Have A Dream” speech, the civil rights movement, and, sadly, his assassination. When we celebrate his birthday on January 15, let’s take a few moments to look into the personal story of the man himself, from his early life in Georgia to the halls of religious and political power many years later. President Reagan signed the holiday into law, and it was first observed three years later. At first, some states resisted observing the holiday as such, giving it alternative names or combining it with other holidays. Martin Luther King Jr. Day was officially observed in all 50 states for the first time in 2000. King never stopped spreading his message of non-violent protest against racial injustice. But there were also people who wanted him silenced. King was attacked more than once during public appearances, as well as arrested during demonstrations. An assassin's bullet fatally wounded King as he stood on a Memphis hotel balcony in 1968. Rosa Parks was arrested after refusing to move to the back of a Montgomery city bus. That night, E.D. Nixon, head of the local chapter of NAACP, met with King and other local civil rights leaders, who elected King to lead a citywide bus boycott. In his first rallying speech as the group’s president, he displayed a natural gift for inspirational rhetoric that would continue to grow stronger in the future. Despite the strong role model of his minister father, King. began questioning religion during his early teenage years. However, when he was a junior in high school, he took a Bible class which influenced him to renew his religious beliefs, and began to envision life as a minister. After graduating from Morehouse College in 1948 and attending Crozer Theological Seminary in Pennsylvania, King was working on his doctoral studies at Boston University when he met Coretta Scott. They married in 1953, and by 1955, when King earned his Ph.D, he was already pastor of a Baptist church in Montgomery, Alabama. He was just 25 years old. Martin Luther King Jr. was born in Atlanta, the middle child of parents who both had deep roots in rural Georgia. His father, who became a successful minister, changed his name to Martin Luther King to honor the German Protestant religious leader Martin Luther. To honor Martin Luther King Jr.'s emphasis on diversity, plan a dinner party where foods from many different ethnic origins are served. A sample menu could include a French crudité platter as an appetizer, bobotie (a kind of fancy meatloaf) from South Africa for the main dish, Moroccan cous-cous as the salad course, followed by the truffle-like brigadeiros from Brazil for dessert, served with Turkish coffee. Extra credit: set up an international music playlist to accompany your feast. The MLK Day of Service is part of United We Serve, the national call-to-service initiative. Find a local project and volunteer; this could be helping to clean up a local park, delivering meals to house-bound people, or collecting food for a homeless shelter. One of the most profound ways to experience Martin Luther King Jr.'s most memorable speech is to read it aloud, even if you're alone; hearing the words as you're saying them redoubles the impact of this impassioned, timeless message of hope and healing. 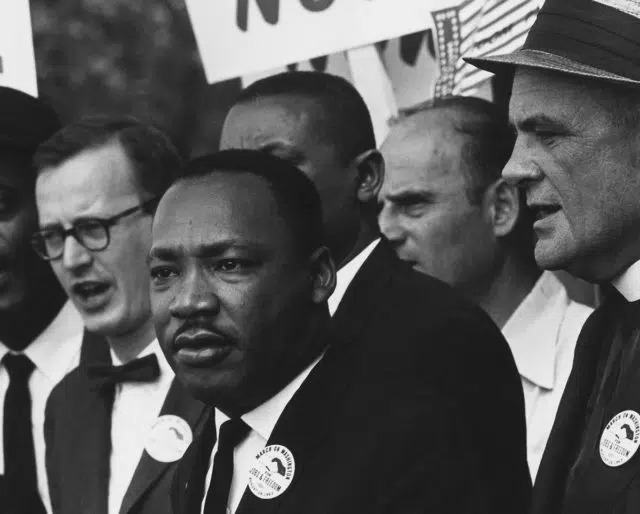 Although the campaign for a federal holiday in Martin Luther King Jr.'s honor began soon after his assassination, it would not be officially observed in all 50 states until 2000. The bill first came to a vote in the U.S. House of Representatives in 1979, but the result was five votes short of the number needed for passage. After the King Center sought support from the corporate community and the general public, musician Stevie Wonder released the single "Happy Birthday" to popularize the campaign in 1980. In New Hampshire, for example, the holiday known as Civil Rights Day was not changed to Martin Luther King Day until 1999, when the State Legislature voted to change the name. In 2000, Utah became the last state to have a holiday named after King, by officially changing Human Rights Day to Martin Luther King Jr. Day.